As a piece of furniture that's suspended in the air, a wall cabinet should appear to be floating, to be so light that it defies gravity. This is why I strive to make cabinets that are ever more delicate, and perhaps give off a sense of fragility. Of course, they must remain strong, so solid joinery and intelligent construction is always there. So too is a sense of purpose. A wall cabinet should be as functional as it is beautiful. 6.25 in. x 12 in. x 20 in. When the sun comes through the widow, the figured cherry case sparkles with life. 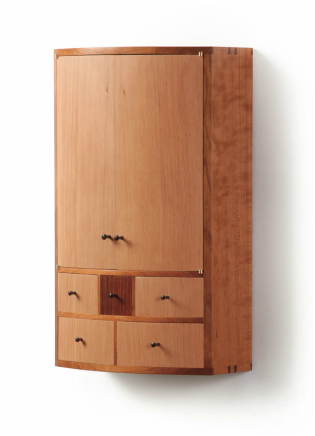 The cabinet's modern lines are complimented by the tight, straight grain of the Douglas fir veneers—cut in the shop from a beautiful, wide piece of fir—on the doors and drawers. 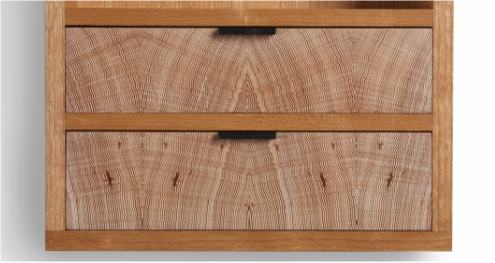 The vertical orientation and flow of the fir's grain emphasizes the the cabinet's height, and gives it a visual levity, while the drawers break up the front into a clean geometric pattern. Popping at the center is a small cocobolo drawer. 4.75 in. x 9 in. by 20 in. 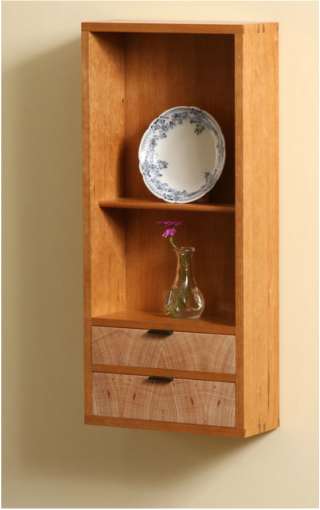 The highlight of this cherry cabinet is no doubt the wonderfully figured drawer fronts, which are made from four thin slices of Douglas fir end grain that are opened like the pages of book to create the cathedral effect. Inspiration came when I walked past my lumber rack and caught the end of a fir board in the corner of my eye. The case and veneers for the back come from a single piece of cherry. 11.5 in. x 17 in. x 33.5 in. Plywood furniture is often cheap and ugly. But it doesn't have to be. 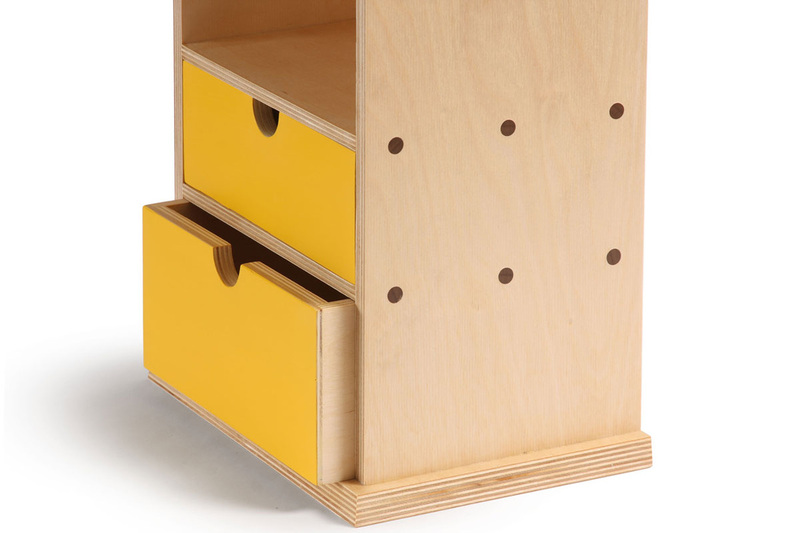 This cabinet is made from high-quality Baltic Birch plywood. The top and bottom pieces have 13 layers of thin veneers, and the linear pattern on the edge is beautiful. 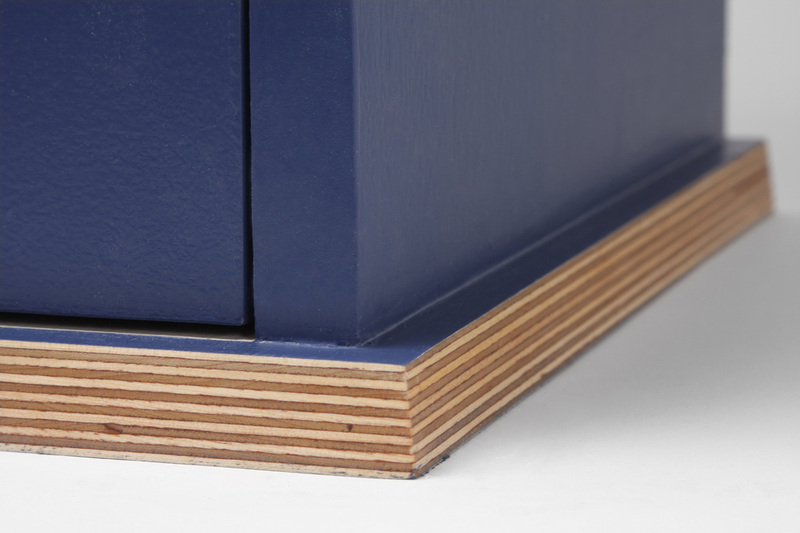 That's why I left their edges exposed, giving the cabinet—a Shaker inspired piece at its core—a touch of modernity. The door pull is hand shaped Madrone, and mortised into the door stile. The cabinet's interior, which is outfitted with a few shelves, is painted a warm, off-white. 7.5 in. x 11 in. x 20 in. 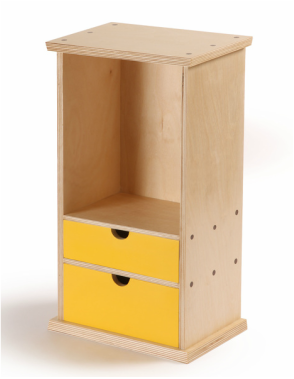 The thin, linear plies of Baltic Birch plywood are on display on this cabinet's front, framing the bright yellow drawer fronts and creating a strong sense of geometry. 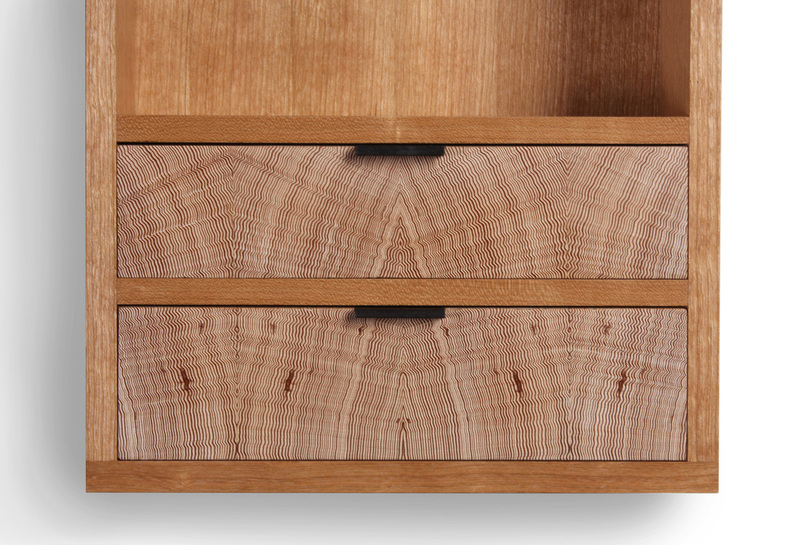 Walnut plugs emphasize the joinery, and compliment the half circle finger pulls on the drawers.